Our finale for “movie week” is our “year 2012 in roundups” video. We were on the road at the end of the year and then very busy with litigation so we apologize for the delay. We began the effort for the Owyhee Complex that stopped the roundup for a week and gained some language from the courts to expectations of treatment of our amazing wild horses. In the video you will see images of Jackson Mountain. 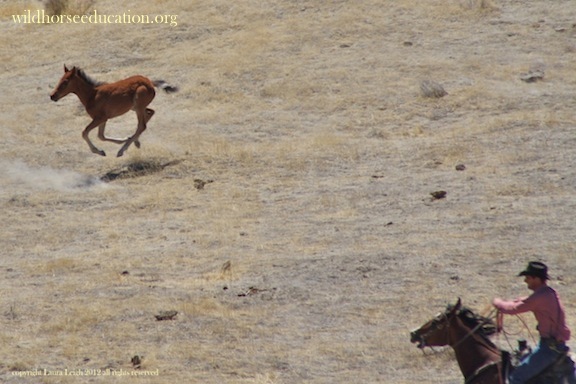 Jackson Mountain was the subject of litigation as BLM attempted to use a finite are of “drought emergency” to roundup wild horses through an entire herd management area (HMA) during June, a prohibited time of year for helicopter roundups due to foaling season. We stopped them from moving out of the specified area until after BLM’s asserted “foaling season” had ended. That case was added to the Triple B case that gained the first temporary restraining order and preliminary injunction to conduct in the history of the Wild Free Roaming Horse and Burro Act. Throughout the video you will notice that we inserted some “long shots” and images of animals obscured behind trailers, trucks, hillsides, snow fencing and at a great distance. The very serious issue of access to animals has been an ongoing battle in Federal Court as well. 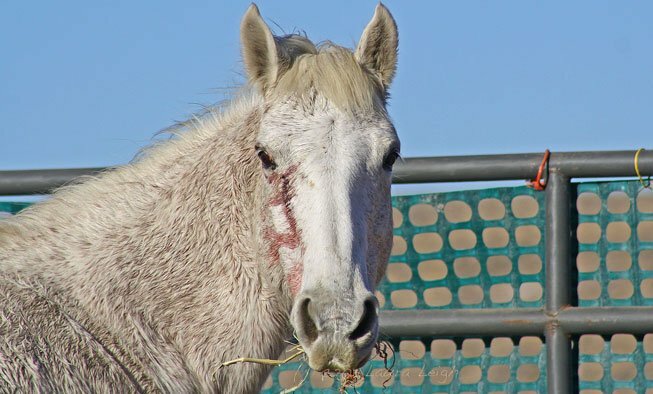 The history of this case includes a landmark victory to freedom of the press issues and the new case law is cited in litigation active to issues even outside of wild horses. That had another hearing in Federal court last month and is awaiting a ruling. A fast photo of Dave Philipps, a journalist for ProPublica, appears in the Stone Cabin portion of the video. At Stone Cabin Philipps and Leigh spent a considerable amount of time in conversation and kept the relationship alive afterwards. Dave Philipps did an outstanding job bringing to print the investigation into the practice of BLM selling wild horses to known kill-buyers for $10.00 a piece and tax payers paying the shipping. That effort eventually earned Philipps a threat with “a punch in the face” by the now former Secretary of the Interior, Ken Salazar. And again… many thanks to the amazing talent of Maria Daines and Paul Killington. Out last two year in review videos have featured songs by this talented duo. This time they lend “Set Us Free,” an amazing inspirational piece. The video has several “escapes” featured.